The emotional mind is an elephant and the reasoning mind is the elephant rider. The rider has limited control over the elephant. The elephant is heavy and not always willing to listen to the rider. The rider might not listen to the elephant and demand the elephant follow orders by sheer will. The internal conflicts come when neither can work together. When I was younger, I thought age tames emotion. But after years of watching my dad get angry at little things, I threw that assumption in the waste basket. I have been misguided by my emotional mind. If I thought about death, my emotional side kicked in and took over reasoning. Think about the people who will miss you. Think about your body decaying. Think about the future without you. Even as I got older, those worries lingered. Depression set and anxiety attacks appeared. 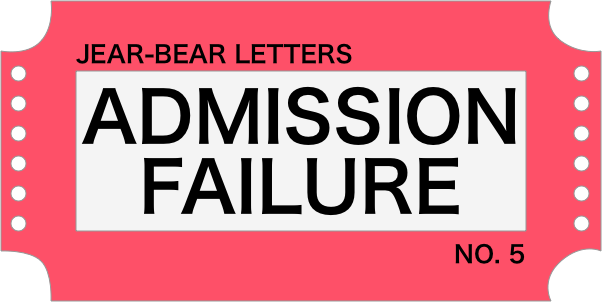 Similar feelings arose when I received rejection letters from grad school, isolated myself from loved ones, and after nasty break-ups. So, I tried meditation. I learned emotion can be examined and felt. My emotional side can overwhelm me, and I have fought the feeling head on. Instead, meditation says to examine the feeling and to let it happen. You achieve this through a non-judgment lens. I witnessed the elephant the first few times I meditated. I approached meditation through a book I read. It stressed posture, breathing, and examination of the body. After the second week, my rational mind didn’t see the elephant. It imagined the daydream version of it. Unable to relax as I had with the previous week, I quit. I applied philosophical thought to the response of my elephant. Seneca, Roman philosopher from two millennia ago, taught his pupils to engage in a morning ritual of telling themselves what was the worst possible thing that could happen that day. Imagine it in detail, trying to put yourself in your own shoes. Imagine what you will be doing, how you’ll be feeling, etc. If the worst were to happen, you would be mentally prepared. This exercise could be morbid, like imagining you or your significant other’s demise. This might be trivial, like getting angry at drivers who cut you off. Whichever end of the spectrum your imagination takes you, you are experiencing that feeling in a controlled dose. I did this exercise a bunch at my last job. My manager pulled the rug from our projects a few too many times, and I kept feeling wrecked. In the parking lot before going in the building, I’d ask myself what’s the worst thing that could happen that day. I could be fired. My project could be pulled. I could receive a demotion. And after a few days of this exercise, imagining what it would feel like to be first, I wasn’t scared of that prospect any more. And I took that insight and wrote my resignation letter. I revisited meditation last year when I got a guided meditation app. This was a lot more relaxing as I placed myself in the guide’s practice. I dedicated a chunk of time each morning to practice. If I couldn’t practice at home, I’d take the time on my train ride to work to do it. The app was more motivating, obtaining badges and tracking my progress. My practice was less examination of emotion than it was a stress reliever. 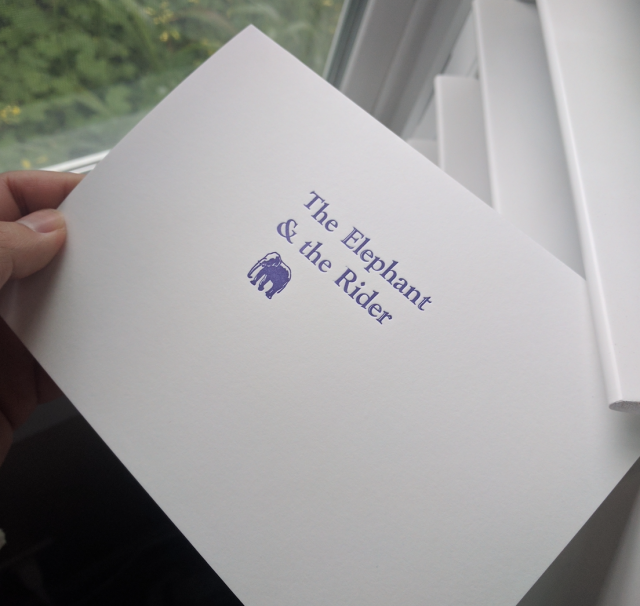 The rider was able to spend more time working with the elephant, and the elephant sensed the rider was less stressed. After a long vacation, I stopped. I didn’t want to meditate around friends. When I came home, I dropped the practice. But now as I’m writing this, I may give it a 4th chance because I recognize the benefits. The rider holds the reins of the elephant, but the elephant overpowers the rider. When the rider is too stubborn to acknowledge the elephant, the elephant dictates the outcome. Many times, this is the voice of instant gratification. When the rider can notice the elephant’s resistance, the rider’s best option is to roll with it. Now, ask yourself, how can I work with the elephant, and not against it? As the rider, we have the ability to plan ahead and take lessons learned from past failures. Now apply that to your everyday conflicts.